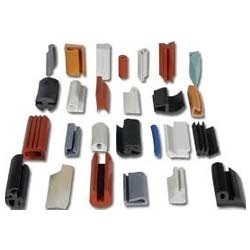 Leading Exporter of rubber extruded components from Mumbai. Our company is one of the well known companies that manufacture, supply and export a wide array of Rubber Extruded Components. These components are highly appreciated by the clients for their heat & chemical resistance, reliability and longer functioning life. Our quality analysts make stringent quality tests in order to ensure their flawlessness and performance. Looking for Rubber Extruded Components ?